Fresh and semi-fresh cheeses, such as mozzarella and goat cheese pair with wine well, and are the easiest of cheese styles to pair with wine as their flavours are mild. They go especially well with light white wines, of 12 percent or less alcohol, that have bright notes of fruit and crisp acidity, such as riesling, sauvignon blanc, and pinot grigio. Tip: If you’re not sure about a wine’s acidity, check the label or tasting note for descriptors such as green apple, lemon, lime, orange, or grapefruit. The classic match of French goat cheese, or chèvre, is sauvignon blanc from France’s Loire Valley, as both carry the essence of fresh air and wild meadows. 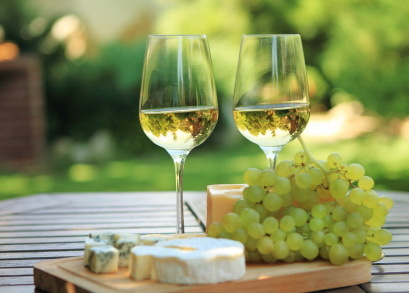 The cheese also pairs well with zingy sauvignon blanc from New Zealand and South Africa or with flinty, unoaked chablis, which is Burgundian chardonnay. The racy acidity of those wines cuts through to the chalky heart of this cheese, and enhances the grassy notes in the cheese. Both the wine and cheese taste rounder, sweeter and softer as a result. The slightly effervescent moscato d’asti, with its grapey, orange-blossom taste and low alcohol, also works. You’ll find my reviews of wines in liquor stores now to pair with goat cheese and other fresh cheeses.